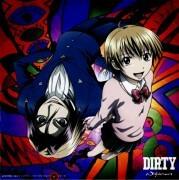 Majin Tantei Nougami Neuro: Neuro! Minitokyo »	Majin Tantei Nougami Neuro Scans » Majin Tantei Nougami Neuro: Neuro! The Artist seems to be Cafetela -ice coffee,it sounds cute.Anyway her,I have a feeling we are talking about a she,her Neuro is hot! I just changed it to monochrome scan for you. this artist is amazing. i really like the high emperor pose. ^^ The smile on his face is so smexy, yum. again, i like the little touches of the hair clips (they're cute), the glove and the the bracelet. Very feminine yet, strong as well. wow Neuro is looking very very fine indeed.. Thanks for your sharing very much! 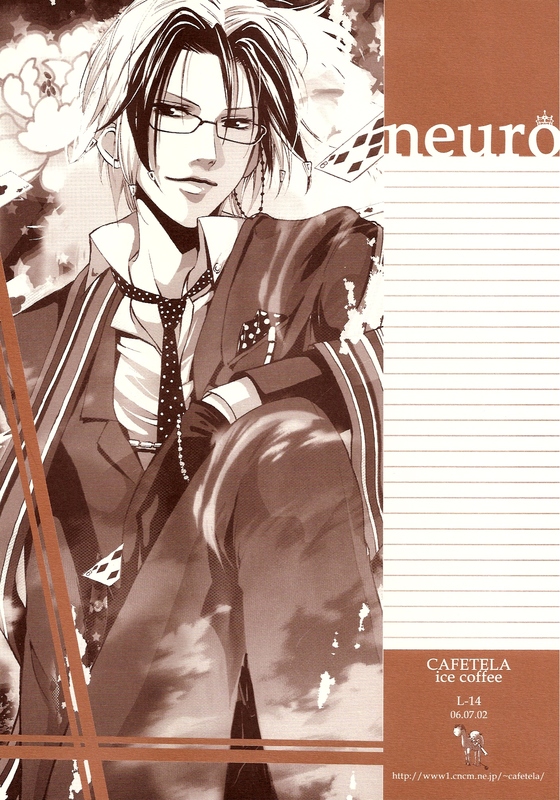 Neuro......O.O? every thing about him is just dripping his contempt for humans.....the pose the expression....... lol love the smile and the glasses! thank you for sharing! It looks more cool than usual! *___________________* Thank you sooo much for sharing!